Atlus has been around for just over thirty years. Their first game was Digital Devil Story: Megami Tensei for the Nintendo Famicom in 1986, but it was only released in Japan. Atlus got off to a rocky start in the US with Karate Kid and Friday the 13th on the NES. However, what Atlus is more known for these days are their RPGs with series such as Shin Megami Tensei, Persona, and Etrian Odyssey. Today I’ll be taking a look at their latest RPG to come out in the US that was actually released in Japan right around the end of 2015 and is actually a crossover between the Shin Megami Tensei series and Fire Emblem series. As I write this review, I know nothing about the Japanese version such as what elements remain and what was removed for western audiences, so I’ll be writing this purely on what I see in the US version. That said, let’s take a look at Tokyo Mirage Sessions: #FE. The story begins with a young girl watching a musical performance by two people on stage. We soon learn that the young girl is Tsubasa Oribe and one of the people she’s watching on stage is her older sister, Ayaha. All of a sudden the other people in the audience begin to disappear and eventually, so do Ayaha and her on-stage partner. 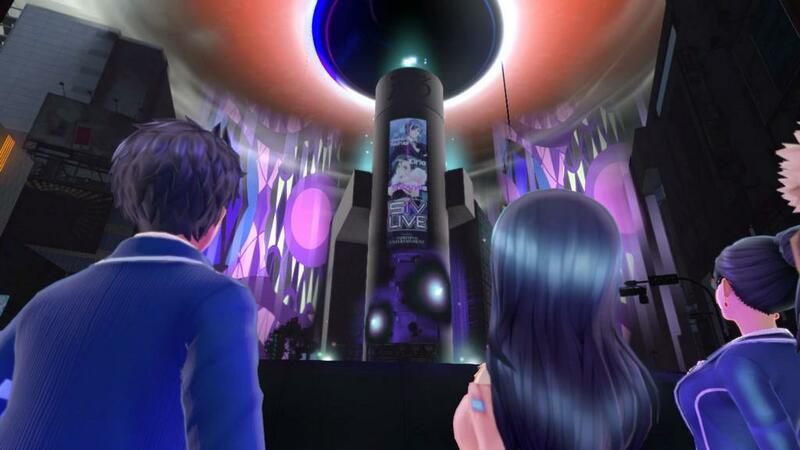 The game then picks up five years later as Tsubasa has been searching for her sister and trying to become an idol as she thinks it could help lead her to Ayaha. We also get introduced to the game’s main protagonist, Itsuki Aoi, who essentially becomes involved in the whole situation and agrees to help Tsubasa. As the story progresses the characters become a part of Fortuna Entertainment, a talent agency that’s also a front for fighting off Mirage attacks while also furthering their entertainment careers…which sounds strange until you get to the battles. As the story unfolds you learn about beings known as Mirages which are similar to the demons from the Shin Megami Tensei series, but are based around characters from the Fire Emblem games. Mirages travel to the modern world from an area known as an Idoloshpere. They are attracted to humans with Performa, a manifestation of creative energy. Some will aid the player characters while others seek to drain humans of their Performa and as the early game goes on, you get a sense that this is possibly linked to the theater event that happened five years earlier. 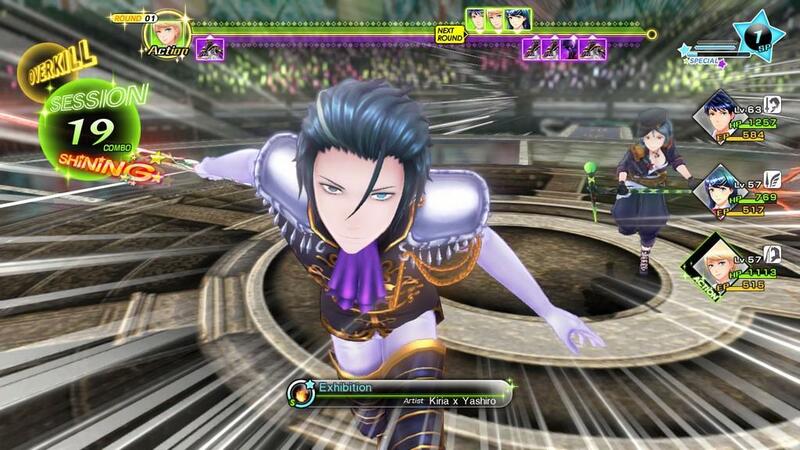 The characters you play as are known as Mirage Masters, people who can join with Mirages to fight in the Idolospheres. 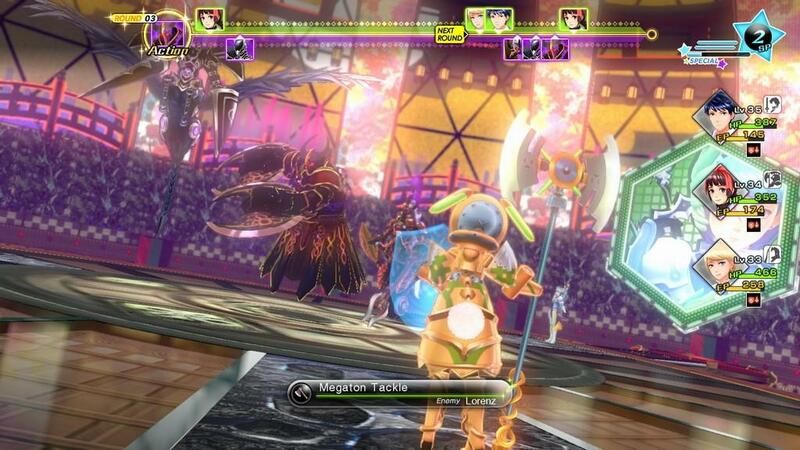 Tokyo Mirage Sessions #FE uses a traditional turn-based battle system but with a few different mechanics thrown in to cater to the whole “entertainment careers” motif. After a certain way through the game you’ll learn about different types of Unity such as Radiant Unity which will give you various abilities, and Carnage Unity which will give you new weapons. Each weapon has several skills you can learn, plus learning skills that you already know will increase the power of that skill. Unities are made by obtaining the required performa, typically either from battles or after a specific part of the story unfolds. Attacks and skills will be either a certain type of attack or a specific element. Each enemy and hero has their own weaknesses and resistances and enemy resistances aren’t known at first, so it’s a lot of trial and error to find what elements work against which enemies, but once you figure it out, a chart below each enemy will show what weaknesses and resistances you've uncovered so far. A particular type of skill you’ll have to master in the game is a session skill. When you hit an enemy with a skill that is their weakness, if another character has a session skill that can chain off of the element you used, they’ll use that skill immediately afterwards without spending their turn in battle. Sessions can keep going as long as characters have the required session skills to use to build some pretty nice combos. This adds some strategy to battles as you learn new session skills over the course of the game as well as when you gain new cast members, you have to use the right skills with the right enemies to keep your sessions going and deal more damage, but also keep in mind that this works in reverse; if an enemy uses a command skill that you’re weak to, they’ll perform a session. Another type of skill you’ll learn are Special Performances which you’ll learn as your stage rank increases, achieved by having a character participate more in combat and performing more session skills. These are more powerful skills, but they require use of an SP meter that takes some time to fill up, so you’ll have to use Special Performances wisely. Some SPs will only target a single enemy while others can hit multiple, so they’re best saved for bosses, especially considering how long it takes the SP meter to fill up. You can also learn Duo Arts, skills used by two Mirage Masters, and Ad-Lib Performances which are enhanced versions of command skills that can occur randomly when you use a skill. The Wii U Game Pad actually gets a decent amount of use in the game through a function called Topic. Topic is essentially the game’s method of having the other characters communicate with Itsuki. Throughout the game you’ll get notifications from other characters that’ll mostly give encouragement for whatever you’re working on, but also some important information such as when new Unities are ready to be made. Other characters can also contact Itsuki with information regarding the current mission, but I’ve noticed that a lot of the time it’s something I already knew and was working on anyway. During battle the game pad will also show information about whoever’s turn it is to attack as well as information known about the current enemy. One battle mechanic I really like is the ability to change out party members during battle. As I’ve never played another Shin Megami Tensei game before, I’ve personally never played another RPG with this concept (at least RPGs where you take more than one person into battle at a time). Once you gain your fourth party member, the rule of three applies and you have to leave a cast member behind. You can swap out whenever you wish, and that also includes in battle. This is a great mechanic as it lets you swap out someone who you might realize a bit too late won’t really help in combat or even worse, hider the combat entirely. You can swap out that character to someone on the sidelines who might work better. This way you won’t have to completely guess who to take into battles as it’s easy to correct any mistakes you make. 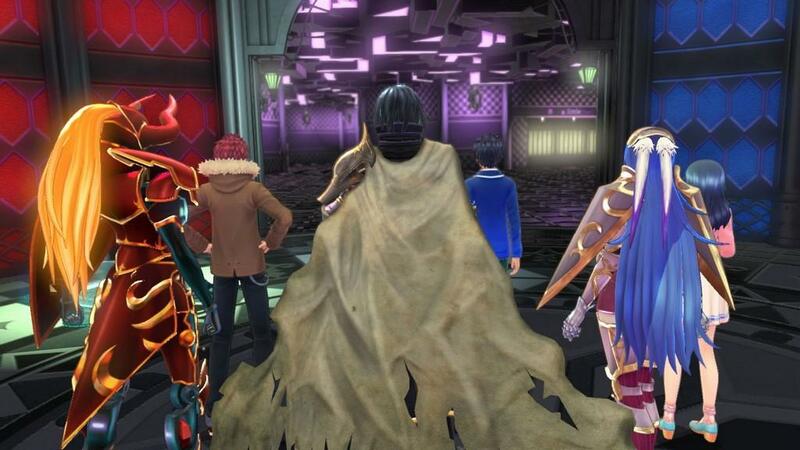 Having never played a SMT game before, one thing I particularly noticed about Tokyo Mirage Sessions is that there are a lot of cut scenes and story elements in the game. In the first four hours of the game, about half of it felt like all story. A friend told me that’s how it can be with the SMT games; there’s a lot of story followed by a lot of dungeon exploring. Personally, I’m okay with that though I can see how some people might just want to get to the gameplay, or even those who like a good story might find it a bit irritating just how much story there is to get through to get to the gameplay. The length of the story and gameplay elements leads me into the next point. When I was looking up info for the game, I noticed that there are only six chapters plus the prologue. When the prologue didn’t take me all that long to get through, I started worrying that this was going to be a really short game. Thankfully I was incredibly wrong about that. The first chapter took me a good several hours to get through, though admittedly that was because I rarely avoided any fights as any experience is good experience in my book. You can also find the occasional side quest to do during the main story, but once you complete a chapter you don’t go directly into the next one. Instead you get an Intermission where you can work on side quests or even side-story quests specific to a particular character. This allows you to gain more experience as well as unlock new performa for certain characters, which in turn unlocks new Unities for them to use. These side quests aren’t just limited to the player characters, but even non-player characters can have side stories for you to complete that can unlock skills to use in battle. Atlus did a good job in the graphics and sound department. At first I found it weird that most of the background characters in the various areas just walked around like solid-colored zombies, but it makes it easier to distinguish characters you can interact with. The arenas for battles look great as well and adds to the whole entertainer motif as they make each battle look like a stage performance. The battles themselves are incredibly fun, though admittedly I did have to grind a bit half-way through the first chapter, though part of my problem was not buying new accessories for my cast members so my defense suffered because of it. In other words, most of my problems with the difficulty were my own fault, though a lot of it is also figuring out what enemies are weak to what, then properly taking them out the best way possible, mostly by utilizing sessions to deal more damage. Tokyo Mirage Sessions #FE is by far one of the best RPGs I’ve played in quite a while. I’m sure fans of the SMT series will enjoy it, but coming from someone who’s never played an SMT game before, this makes me want to check out more of the series. While some people are mixed on the story, I actually don’t mind it, but it’s the battle system that keeps me coming back…and admittedly the story to an extent. 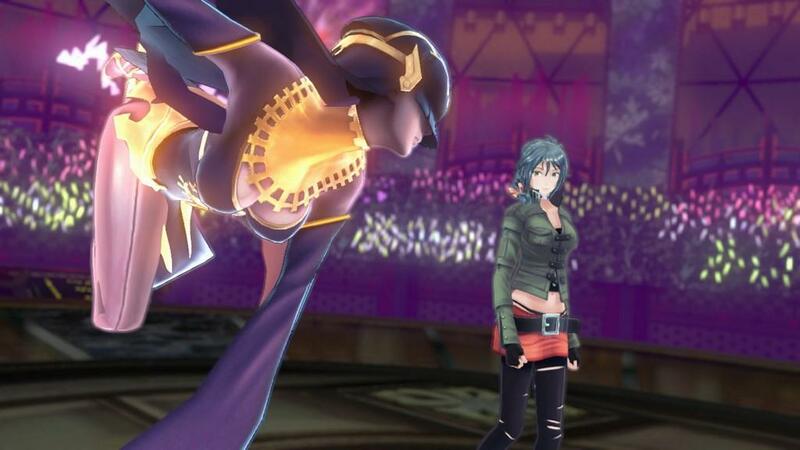 At this point in the Wii U’s lifecycle it’s getting a little late to find what some would call a “killer app”, but when it comes to Tokyo Mirage Sessions, I’d put it pretty high on the list of must have Wii U games. At least for the RPG genre. 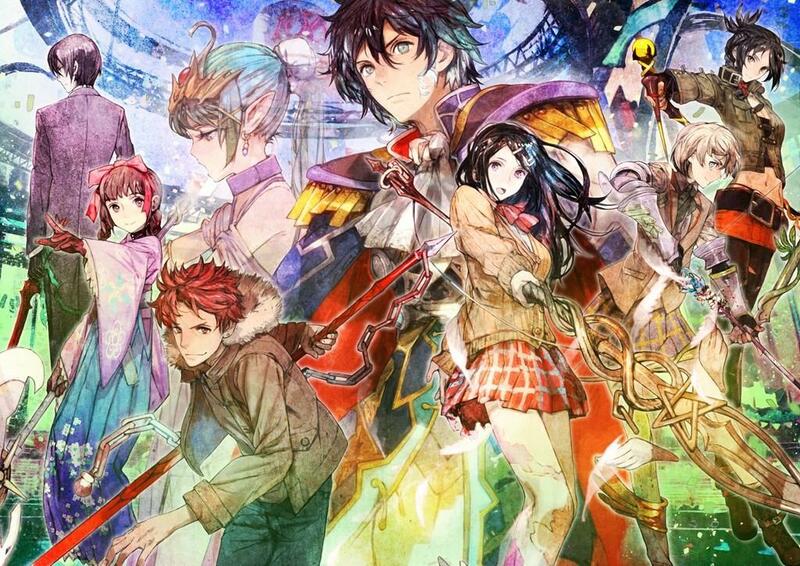 Tokyo Mirage Sessions #FE exceeded my expectations from when I first saw the E3 trailer, and this is coming from someone who’s never played a Shin Megami Tensei game before. 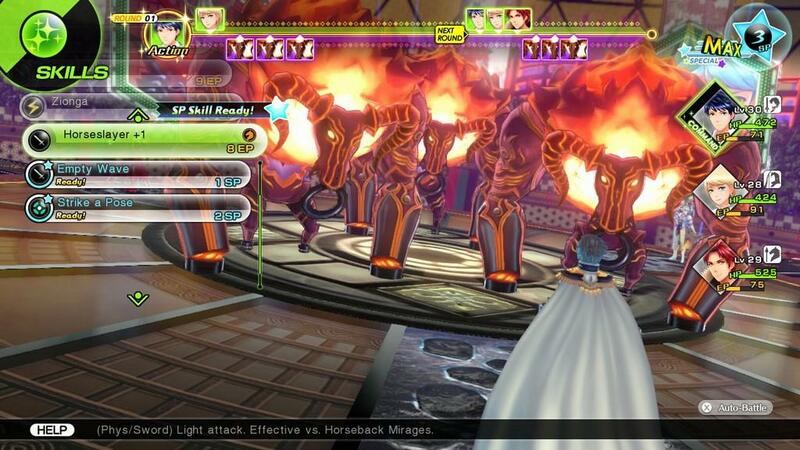 While the story is okay and the graphics are pretty nice, it’s the battle system that keeps me coming back. While the game is only six chapters, there is a lot of story and Idolosphere exploring to add a lot of hours to the game that make it feel worthwhile.